No additives. Gentle cooking for over 5 hours ensures a perfect meringue.Used by professional chefs - our meringues won't let you down. 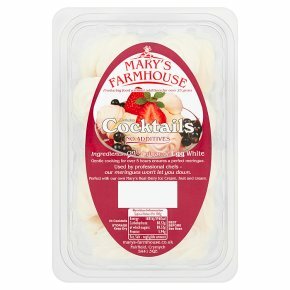 Perfect with our own Mary's Real Dairy Ice Cream, fruit and cream.